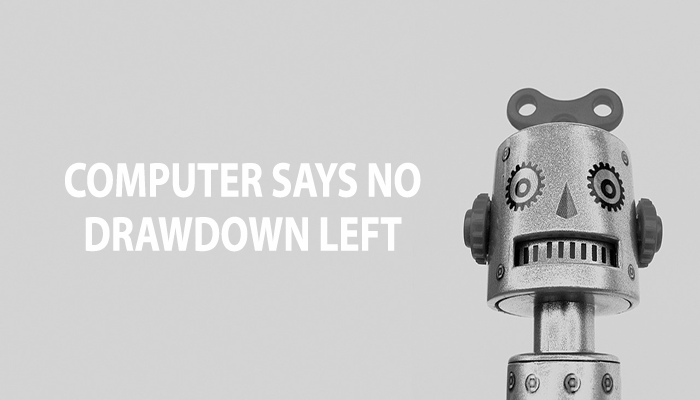 Will Robo Advice work for Income Drawdown? Will Robo Advice work for Income Drawdown? Will Robo Advice work for Income Drawdown? The talk of so called Robo-Advice being used for income drawdown has yet to happen, but will it work? Robo-advice or investing without the use of an adviser though an algorithm based computer model, is picking up pace in the UK investment market. A few advice firms, including our own, have launched a proposition, to allow clients to invest in model portfolios without the use of a financial adviser, thus saving cost. The available services at the moment only include accumulation investing through investment ISA’s or General investment accounts but have yet to venture into providing decumulation advice. Robo-advice has taken off in a big way over the pond in the US, with its USP being an inexpensive, easy and sometimes fun way to manage money online. The traction in the UK has been a little slower however. Clients use online risk assessment tools to determine their attitude to investment risk. The system will then allocate a balanced asset class mix to suit that particular investor. Although the term Robo is used there is actually plenty of research by humans behind the scenes to provide a suite of preferred funds for the system to pick from. In the US, where the general population have more confidence investing in the stock market, companies like Betterment have put together fantastic user friendly websites to allow investor to manage their own money. To date, $3 billion has been invested on their platform. So can this work for income drawdown? The foundations are there in the first instance to assess the risk attitude of the client. A portfolio of funds can be suggested to match a clients risk appetite and expected volatility. The challenge is how to build in, the expected income withdrawal strategy. There is more to consider with decumulation. The current Robo-advice models work on the basis the investor isn’t looking to touch the money for at least 5 years. This allows any short term market volatility to be ironed out. Most people who enter drawdown will be wanting to take money out from day one. Does the system automatically leave a year/2 years income in cash to provide a liquid fund not affected by market fluctuations? How does the system adapt if someone wants to take out a large lump sum to fund their daughters wedding for example. Can the system monitor the clients complete wealth, to potentially advise a client that their overall wealth is in breach of IHT tax limits and it would therefore be advisable to use cash in their bank before taking anymore out of their pension. It’s going to be difficult to build in a complete advice model that will cover all the areas of advice a human could. It’s not simply about investment risk in the decumulation stage, there are many more non-market risk considerations. This is always going to be the problem with AI (artificial intelligence). It can determine an answer based on a preprogramed algorithm, but as yet it lacks common sense. It won’t prompt you to review your expression of wish form if you’ve just got divorced. It won’t consider other, more appropriate income options, unless in passing conversation you update it with your recent diagnosis as a diabetic. Equally it isn’t going to suggest you write a power of attorney unless you keep it up to date with your mental health. Another consideration is the regulation. Who is ultimately responsible for the advice which is provided. Using our own current proposition as an example, the portfolios are constructed by the award winning Parminion, however we ultimately decide whether a client should invest. This is because we see and approve the transaction at the back end. Apart from this there is no further input from the adviser. With accumulation investing there shouldn’t be anything further to consider in terms of appropriateness, with decululation as state above there are many moving cogs. If the FCA ultimately decide that those who offer Robo-advice are still liable for suitability, there will be a need for more back end checks by a human which will impact one of it’s USP’s, cost. The pace of change is something regulation needs to keep up with. The subject of Robo-advice will be part of the Financial Advice Market Review, currently being undertaken by the FCA and due to be reported pre Budget 2016. Robo-advice might be taking hold of the accumulation stage of investing and filling the advice gap created by the Retail Distribution Review. We think it’ll be a while before AI can appropriately and compliantly deal with income drawdown however.